The latest research study published evaluates the impact of Stages Learning’s Language Builder™ app in helping children develop listener responding skills. Responding appropriately to others requires complex understandings that are often taken for granted. While many already struggle with social interactions, children with ASD commonly experience further difficulties. Early intervention addressing these challenges are crucial to a child’s education and development. Handheld devices have powerful features that can help students build these skills. Thousands of school districts and millions of iPads are currently being used in schools across the United States, with numbers rapidly increasing as schools are finding these tools valuable. 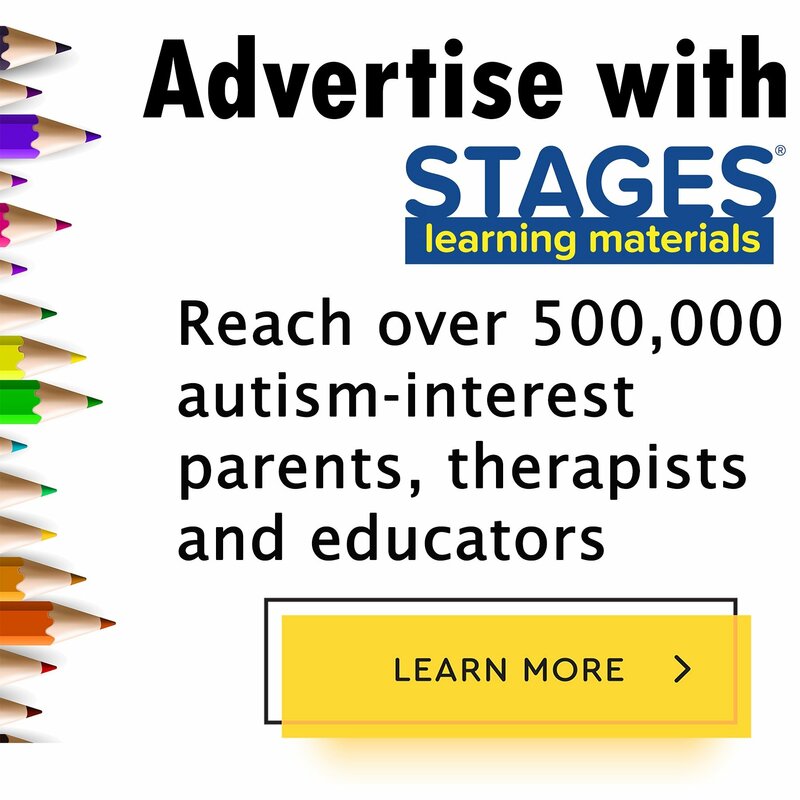 Stages Learning’s Language Builder™ app combines these new technologies with established tools to enhance the learning of children with autism or related developmental challenges. 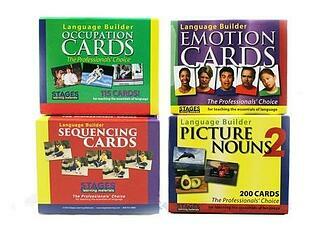 The app is based on the widely used Language Builder Picture Card sets from Stages Learning. 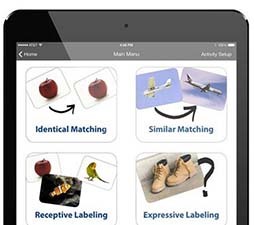 Developed by pioneering researchers over twenty years ago, these cards integrate effective language instruction approaches with autism treatment techniques to teach key language concepts to children. Extensive research from the past two decades has shown that teaching children using real photographic images is more effective than using drawings or cartoons. Since the images used in the Language Builder cards use realistic images with a high degree of correspondence with actual objects, children can use the images to guide their behavior and learning in the real world. The cards have proven especially powerful in helping children with autism. The Language Builder™ app can powerfully enhance and contribute to the benefits of the Language Builder™ cards. 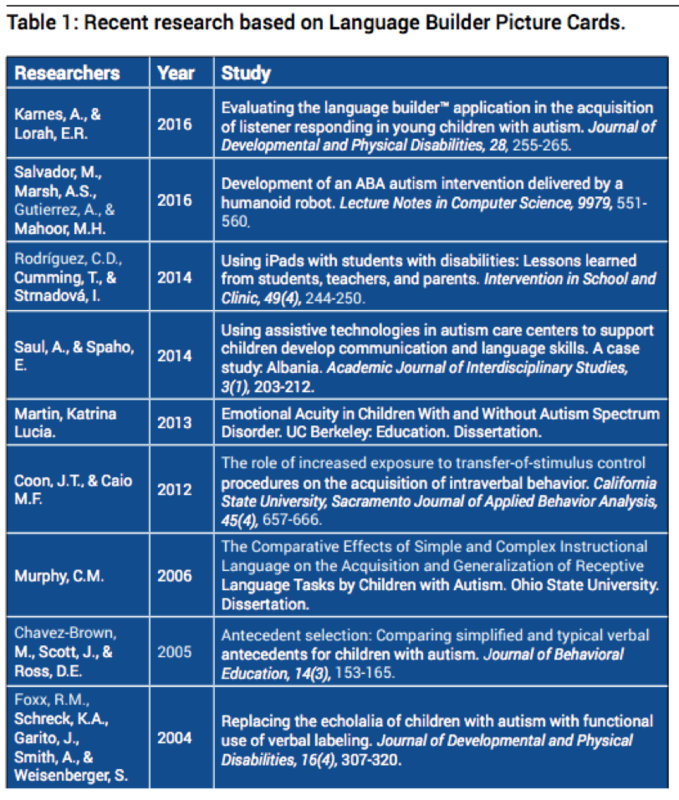 Studies have also shown that presenting students with images in various formats, including on a picture card and on an iPad®, increases the rate at which children with autism are able to generalize the connection between an image and a real object. The app includes 350 full-color Language Builder flashcards of objects that children are likely to see in their daily environment. Using the app, there are various activities and prompts children can engage in, including labeling, picture identification, and sorting. Features of the app that reinforce learning include dimming the distractor pictures when children respond incorrectly. The app also provides praise such as “good job” and “that’s it” when children respond correctly. At the end of the training, fireworks are displayed, indicating that the child has finished the session. This positive reinforcement helps increase correct responses. Through these strategies, the app integrates effective teaching approaches into a virtual learning environment. Research has highlighted the promising impact of the Language Builder™ application. In one study, participants were instructed to touch target pictures in a baseline activity and were retested after training using the app. The application presented pictures simultaneously and randomized their positions on the screen. Children had to follow cues while making sure that they did not choose distractors. Children were able to rapidly acquire listening and responding skills using the app, as they correctly reacted to prompts. They were even able to maintain and generalize these skills by accurately identifying cards that were not identical to those used during training with the app. 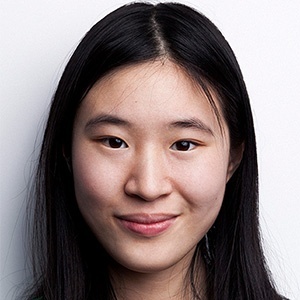 The app demonstrates how technology can be a powerful tool for enriching existing language instruction techniques for children with autism and for allowing a broader population to benefit from effective educational interventions. While these tools can be used independently, they can be integrated for impactful learning experiences. 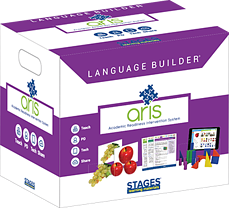 The new Stages Learning Materials Academic Readiness Intervention System (ARIS) combines the Language Builder Picture Card sets with 3D manipulatives, lesson plans, a classroom intervention system, baseline assessments, paired digital lessons, and behavior management tools for the most complete Early Autism Education curriculum available today. ARIS leverages the power of technology, Language Builder cards, and effective classroom instruction through research supported and student centered design. Whether in the classroom, at home, or beyond, Stages strives to develop tools that can be adapted to a variety of educational settings and needs.